Hello everyone! I’m Kayoreena from Engineering Gateway2 ! Last week we held a global engineer meet up at Mercari. This meet up was held as a net working event for engineers from Japan and elsewhere, both inside and outside Mercari. 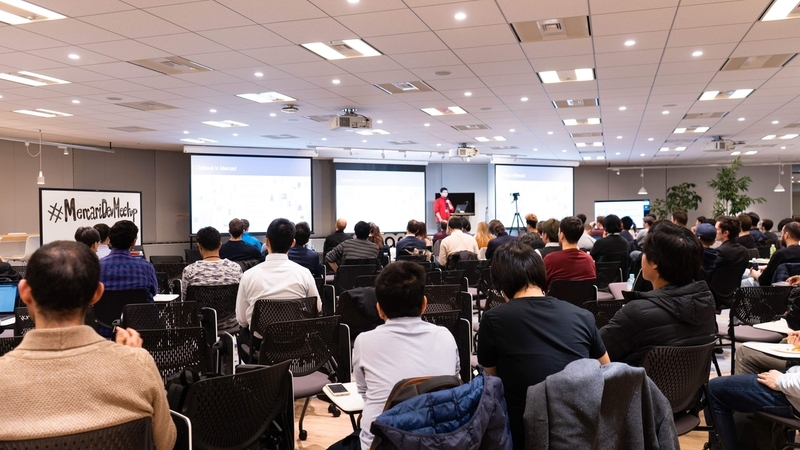 In this event, 3 engineers from the ML team gave talk sessions about the newest AI technology. 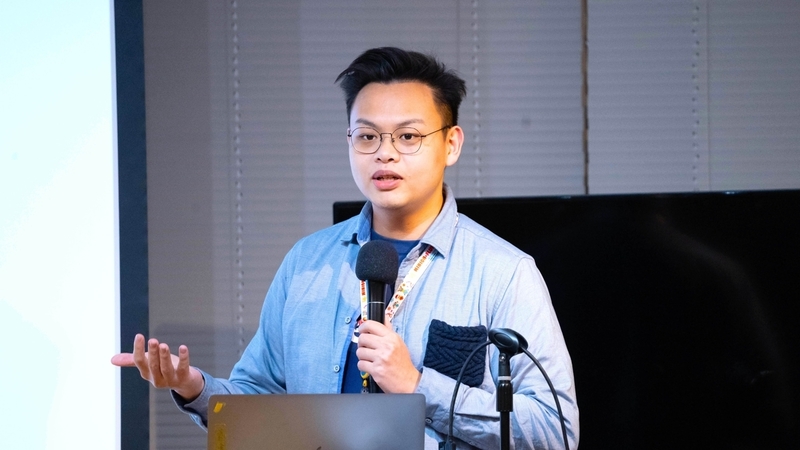 Toby Liu, who joined Mercari last October, gave an interesting speech at the event, which was his first time speaking in public. The title was In Kanjo Dojo 感情道場— Introduction to Emotion Analysis. 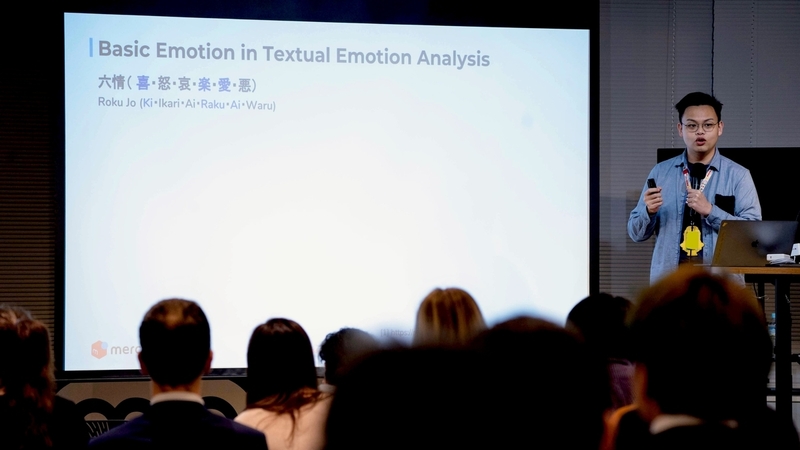 He briefly introduced how emotion analysis is conducted in a machine learning approach. The ML team also presented some challenges with Japanese, such as subjectivity of emotion perceptions, importance of contexts, and locality of internet slang. Toby said that unlike e-commerce platforms where everything is just one click away, a C2C Marketplace is a battlefield with all kinds of emotions. A user can bargain the price, check the shipping status, or even make friends with sellers on the platform. This is where emotion analysis comes in to offer a better user experience. In addition, emotion analysis is very different from other machine learning tasks. It links to sub-culture and humanity. There are so many cues and exceptions that we need to be aware of. It’s really interesting to observe how people interact with each other on a C2C marketplace like Mercari. Typical machine learning or AI sessions are usually filled with complex formulas and algebra. However, Toby wanted to share that these algorithms are here to address daily behaviors. The ML team aimed to make the presentation easy to understand for everyone with daily examples of dialogues on the Internet. The content was very interesting for all the participants and it was a good experience for him. Toby Liu : The presentation was entertaining and educative. It was really exciting to have all positive feedback. Thanks for all your participation. I hope Mercari’s ML team will give us more wonderful knowledge and wonderful user experience on the Mercari app!